Evaluating Effectiveness was launched to spotlight the field of performance evaluation in the non-profit sector. The focus on evaluation is growing among organizations, foundations, and donors as individuals want to yield the greatest results with a scarcity of funding. The business community has long accepted evaluation and, recently, it is becoming more common and welcomed among non-profits. Through various posts and interviews, we hope to feature organizations that have utilized evaluation to improve their work, as well as to offer ideas and suggestions on evaluating your organization’s impact using basic evaluation methods. We look forward to being part of the discussion and highlighting organizations that are succeeding in utilizing evaluation in their work. We want this blog to be interactive, so feel free to respond to posts or to use our contact link if you do not want to post publicly. David’s work often revolves around measuring the impact that organizations and companies are having. A former operations analyst in the corporate sector, he believes it is essential for non-profit organizations to being implementing internal evaluations to continually strive for effectiveness and alignment with institutional goals in the work they carryout. David’s experience in both for-profit and non-profit organizations positions him to explain concepts and offer ideas to non-profits in an easy to digest. David advises many organizations nationwide. 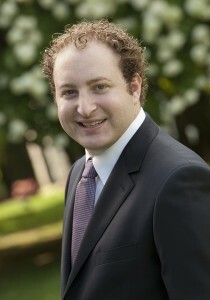 The Washington Jewish Week included David on their 2012 Minyan list of the 10 most interesting Jews in the Washington, DC. David now lives in Cambridge, MA where he works for a sociological research center.